Giving genuine smiles in sunny Bend, Oregon. Welcome to Woods Ortho. We’re not here simply to make your smile gorgeous (though we will! ), nor to simply correct bite problems (but of course we’ll do that, too). We’re here to improve our community, to serve our friends, family and neighbors here in Central Oregon. We specialize in the entire orthodontic experience, from initial consultation to follow-up visits, to a lifetime of genuine smiles. Oh, yeah — we also boast a highly trained staff, flexible financing, and a comfortable, convenient location. Every person, every smile — every tooth — is unique, like a fingerprint, so your orthodontic experience should be just as unique. 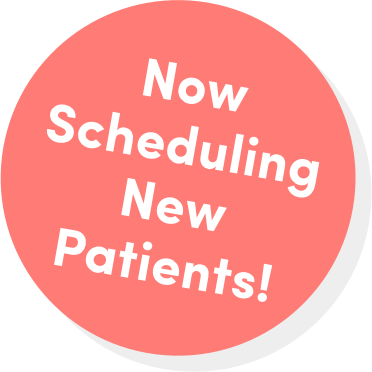 Schedule a sit-down today and we’ll create a plan that fits you perfectly and gives you your most genuine smile. Mother, wife, sister, daughter, friend, hiker, dog-lover, Cheesehead and coffee snob— ahem... connoisseur. Dr. Woods was a Bend High Lava Bear then a University of Oregon Duck, ultimately completing her dental and orthodontic training at OHSU in Portland, OR. Now, in Bend, OR, the town where she grew up, Dr. Woods knows her good fortune, getting to serve her Central Oregon neighbors, helping them realize their most genuine smiles. When is the best age for a first exam? Do braces hurt? How do braces work? How much do braces cost? Will there be a test? Great questions! We’ll walk you through the process, from initial sit-down to final retainer checks.